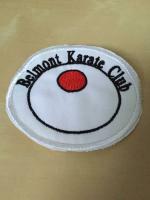 Belmont Karate Club is for children age 4 years and over and adults are welcome to join the club. The first lesson is free, then £3 after that. Karate gradings take place every three months. After the first four weeks each student needs to buy a licence to be insured, which costs £16 per year. Children aged 4 and over. Adults are also welcome to attend.